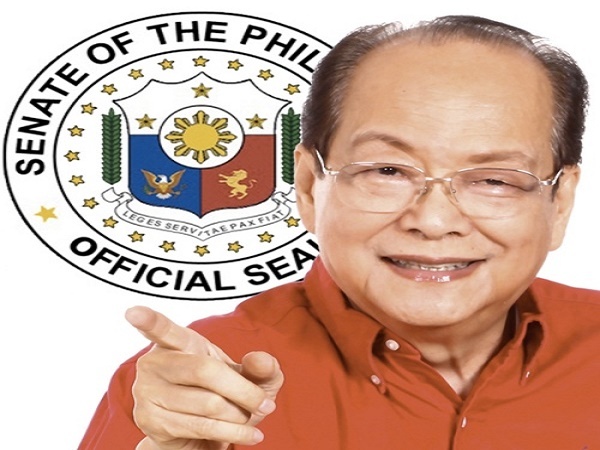 Former Senate President Ernesto Maceda has passed away due to multiple organ failure. He was 81. In a text message to INQUIRER.net, Maceda’s son Edmond, said the ex-Senator died at 08:58 PM at St. Luke’s Medical Center in Quezon City. Edmond said that “At 8:58 this evening, my father passed away due to multiple organ failure. He was 81 years old and lived a life dedicated to his family and public service,”. The young Maceda said his wake will start on tomorrow (21 June 2016) at 03:00 PM at Mount Carmel Shrine in Quezon City. Edmond said Maceda will be interred on Saturday, June 25. Edmond also added that “We ask the public for prayers for the eternal repose of his soul,”. In an earlier interview, Edmond said his father may have fell into a comatose state due to complications from bleeding after his gallbladder removal surgery. Maceda successfully recovered from the surgical operation last Sunday. “He was conscious. He was mentally sharp. He can’t speak because there was a tube in his mouth but he’s happy he made it through the operation,” recalled his son. That night, Edmond said, Maceda went to sleep in a good state. But he later suffered internal bleeding after his bladder was removed, affecting his heart and kidney. He also underwent a pacemaker surgery to keep his heart beating. Edmond said that “I got news this morning that he became unconscious. When I arrived (in the hospital), the doctors were trying to revive his heart. I guess his heart failed. It wouldn’t respond,”. Shortly before Monday noon, Jimmy Policarpio, Maceda’s chief of staff for 16 years, said Maceda was deemed “clinically dead” with a life support machine connected to him. Around 03:00 PM, Edmond told INQUIRER.net that chances of his father recovering were very slim. He said he and his siblings were just waiting for their eldest brother to arrive from Hong Kong before they disconnect the life support machine.